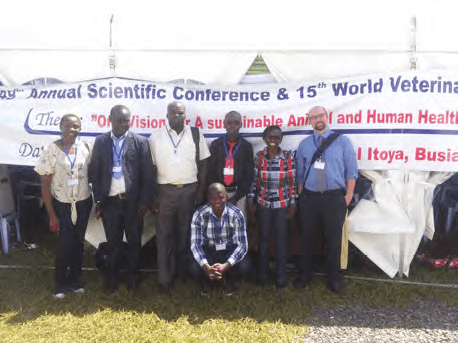 The Kenya Veterinary Association (KVA) 49th Annual Scientific and 15th World Veterinary Day celebrations were held in Busia, Kenya from 22nd to 26th April 2015. The Theme of the confer-ence was “One Vision for a Sustainable Animal and Human Health and Welfare”. The Urban zoo group was presented by Prof. Erastus Kangethe, Pablo Alarcon, Maurice Karani, Patrick Muinde, James Akoko, James Orungo and Victoria Kyallo. Several members from the team made presentations during the conference and mainly on the Value Chain Mapping.